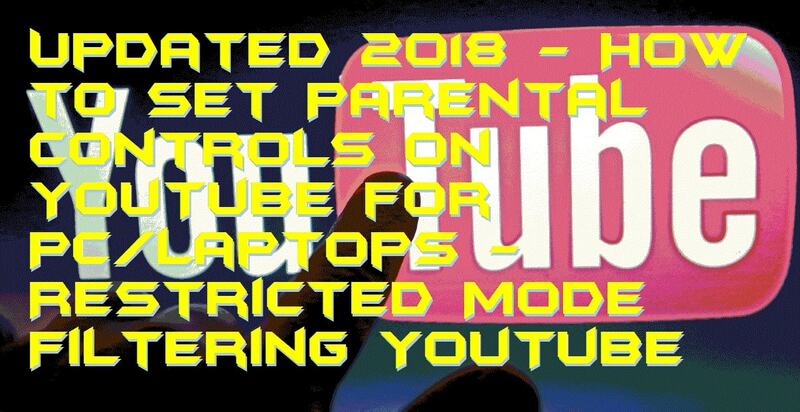 Hello friends, Today I will tell you best method on how to set parental controls on YouTube for PC/Laptops. Users can your Restricted mode filtering YouTube to block all sensitive videos. It will block all kind of age-restricted content from YouTube. It will automatically remove some content from YouTube. YouTube is more than just funny cat videos. With more than 50 hours of videos being uploaded every minute, it’s likely that your kids could watch something inappropriate for their age. That’s why it’s recommended to exercise parental controls. YouTube has its own Restricted Mode that acts as the first line of defense against inappropriate content. Restricted Mode uses community flagging, age-restriction settings, and inappropriate content reports to filter videos unsuitable for children. This mode is directly linked to Safe Search of Google, so once you enable Restricted Mode in YouTube, Google’s Safe Search feature is also automatically activated. You can use the parental control on YouTube for your PC/laptops. It will block all kind of age-restricted videos from your YouTube. It will create a safe environment for your Kids to use YouTube. They can watch any YouTube video with good content. All kind of flagged content will be automatically removed from search results. Launch a browser on your computer and open YouTube website. Sign in using your Google account username and password. Click on the Profile icon in the top-right corner of the screen and go to “Settings”. Scroll down to bottom of the profile settings page and click on “Restricted Mode”. Restricted Mode is always turned off by default. Check the “On” option and click on Save to enable Restricted Mode. To prevent your kids from switching off this option click on “Lock Restricted Mode on this browser” and enter your Google account password for verification. Once you enter your password. The Restricted Mode will be locked and cannot be turned off by kids. This is the best way to set up parental control on YouTube. It will even remove age-restricted videos and flagged content from the search results. Parents can use this method to make YouTube safe for their children. It will automatically remove all kind of censored content from the YouTube. Don’t forget to share this article with your friends and help them to use this parental control on YouTube for Windows.